Sage 200 is the main product offering by Sage for companies with a turnover between £1M to £50M. Sage 200 is the main accounts platform that many companies move to when they outgrow their existing accounting or ERP package, this is especially true for Sage 50 users who find that their current system is not flexible enough to manage more complex accounting requirements within their business. One of the key benefits of Sage 200 is that it sits on an SQL database which means it can handle extremely large amounts of data; speed and performance are unaffected by the amount of data in the core database. Because the core database is based on Microsoft’s SQL database, this allows you to keep unlimited supplier and customer data. Keep unlimited customer and supplier contact information. In the sections below, we detail exactly what every module does, as well as detailing some of the other questions users want to get answers to, from pricing to training, as well as choosing the best Sage Partner to work with to implement Sage 200. What are the Costs and Pricing Plans for Sage 200? How Can I see a demo of Sage 200? What are the best hints and tips for Sage 200? What Training can I get for Sage 200? What is Sage 200 Commercials? What is Sage 200 Business Intelligence (BI)? 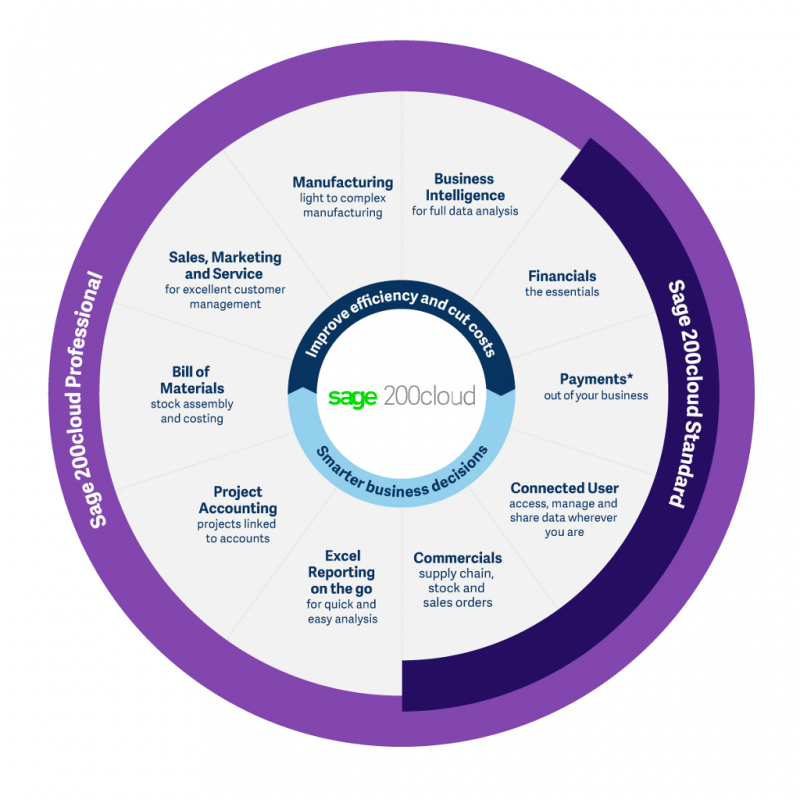 What is Sage 200 Manufacturing? What is Sage 200 Web Time and Expenses? What is Sage 200 Online/Cloud? What is Sage 200 Report Designer? How Can I Buy Sage 200? How Can I Find Sage 200 User Guides?